There are more options to Medical Weight Loss than just surgeries and diet pills. 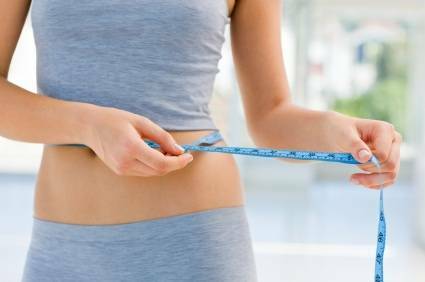 Medical Weight Loss means your weight loss program and progress is monitored or directed by a physician. Your doctor will first use your metabolism and BMI as indicators to decide which weight loss path is right for you. It's important to research all options including, doctors, appetite suppressants, bariatric surgeries, meal replacements, etc. For your convenience, we have compiled a list of medical weight loss providers in each state. ". " --Select A State--". "Alabama". "Alaska". "Arizona". "Arkansas". "California". "Colorado". "Connecticut". "Delaware". "Dist of Columbia". "Florida". "Georgia". "Hawaii". "Idaho". "Illinois". "Indiana". "Iowa". "Kansas". "Kentucky". "Louisiana". "Maine". "Maryland". "Massachusetts". . "Minnesota". "Mississippi". "Missouri". "Montana". "Nebraska". "Nevada". "New Hampshire". "New Jersey". "New Mexico". "New York". "North Carolina". "North Dakota". "Ohio". "Oklahoma". "Oregon". "Pennsylvania". "Rhode Island". "South Carolina". "Tennessee". "Texas". "Utah". "Virginia". "Washington". "West Virginia". "Wyoming"." 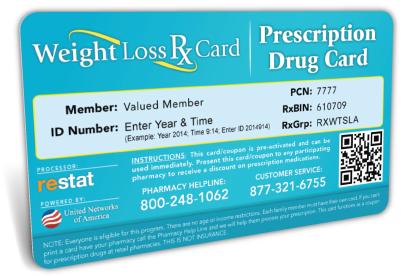 These Weight Loss Prescription Savings Coupons are accepted at over 60,000 nation-wide pharmacies. Please Use our Pharmacy Locator Service to find a participating pharmacy near you.